Less than $25 per month is what the typical home (2 adults & 2 children) and small office (10 or fewer employees) spends for bottled water. ​At Mountain Park, there are No Hidden Fees! 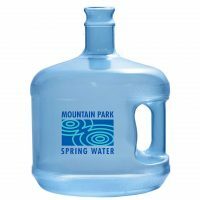 3-gallon bottles are BPA-Free, have a built in handle and weigh just 26 pounds. 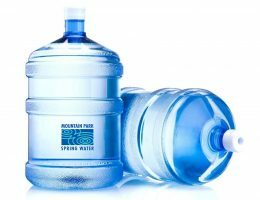 5-gallon bottles are BPA-Free, have a built-in handle and weigh 42 pounds. 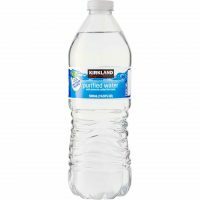 16.9 ounce bottles of Kirkland Brand purified water (minerals added for taste) are packaged in BPA-Free bottles, 40 per case. 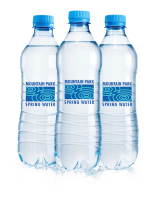 20-ounce bottles of spring water are bottled by an affiliate using heavy gauge BPA-Free bottles (not-flimsy) and packaged 24 per case. On the first delivery we will deliver 3 bottles of water. There is also a one-time bottle deposit charged for each bottle you keep on hand. The deposit is refunded if you ever discontinue service and return the bottles. On future deliveries, we only replace the same number of number of empty bottles with full bottles (unless you request a different number). There is no minimum monthly requirement. You are only charged for bottles delivered to you.